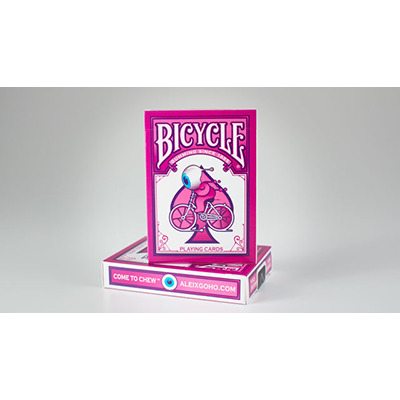 Aleix Gordo Hostau, a renowned muralist and street artist out of Barcelona, Spain, designed these playing cards for the Bicycle® Brand. His graffiti and street art are well-known amongst followers of the urban art scene, and his bubblegum monsters are some of his most popular designs. See them in action on every card in this deck. The Street Art Deck features original artwork on the front and backs of the cards, including the face cards and jokers. These decks were printed in the USA at the United States Playing Card Company and printed on premium stock with a quality finish.